Earth Luxe Lavender Essential Oil is sourced from Bulgaria with a sweet floral scent that helps in feelings of relaxation. It is a favourite in aromatherapy and highly therapeutic for calming nerves, coughs and colds, relieving headaches, and aiding in pain relief associated with arthritis. Recommended dosage for local application: mix 15 drops to 5 ml of carrier oil. Apply up to 3 times daily. For body massage: mix 4-20 drops to 20 ml of carrier oil. Apply once daily. 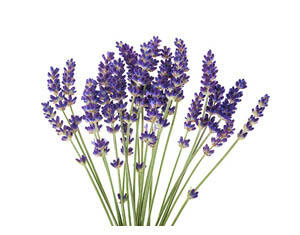 Can also be used in Earth Luxe diffusers for the home. Warning: do not use essential oils undiluted. Not for oral use. for external and topical use only.